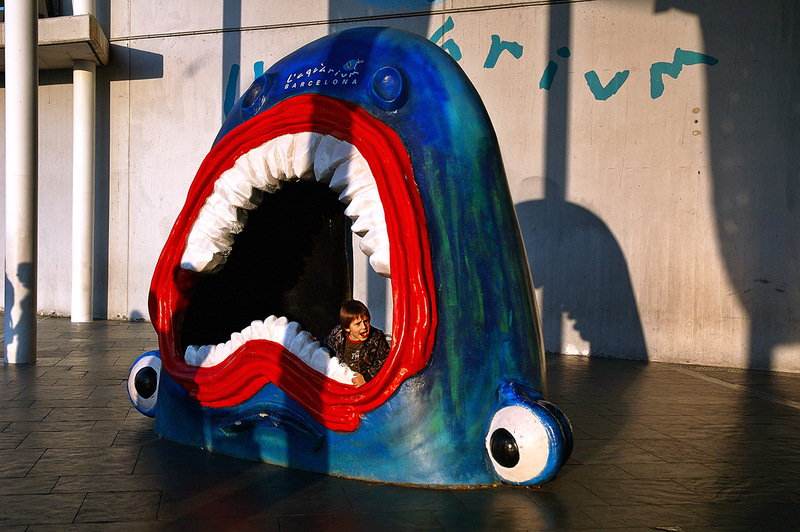 This sort of cartoon shark is located at the entrance to L'Acuarium or Aquarium of Barcelona. Luckily I caught this kid complaining about his mom not paying the necessary attention to his privilege hideaway. As both fish and child have the mouth wide open I thought it might be interesting. Here is a link to Barcelona Aquarium. Cool photo - the shark doesn't look too scary! hahahahaha That looks like a lot of fun! !